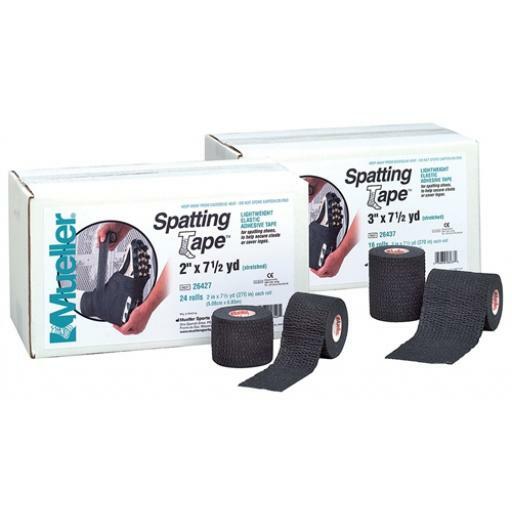 Improved lightweight elastic adhesive tape is ideal for spatting shoes to help secure cleats or cover logos. New design is lighter and stronger with a lower profile than ever before. Athletic Tape - Individual Roll 1 1/2"